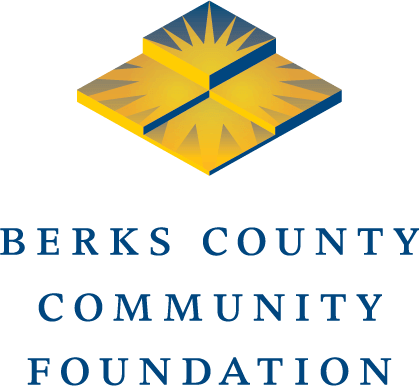 September 21, 2018 — At the Community Foundation, we frequently talk about how Berks County “shows up” at meetings with outsiders. It is not uncommon for us to be invited to be part of a group to present to a governor, members of Congress, state officials or funders from outside of the community. We are usually observers at these kinds of events. Most of the presentations are done by the nonprofits or government organizations who are actually doing work in the community. Because these are usually meetings that involve potential resources, we try to watch and observe how the community comes across in these meetings — or how we “show up” in our parlance. The answer varies of course, often depending on the subject. Last week, our community showed up well – very well in fact – at a meeting with Patrick Harker, the president of the Federal Reserve Bank of Philadelphia, and members of his team. The focus was on how we’re working as a community to prepare a talent pool that will support economic growth in the future. People from our workforce investment groups, our K-12 systems, our higher education institutions, and our economic development organizations made presentations. We are engaging our young people throughout their K-12 career to understand their career options and how to prepare themselves. The presentations made sense. They represented an understanding that much of our future will be driven by our proximity to the New York and Philadelphia regions, which present huge opportunities. While there are many groups at work on economic growth, they presented a single message about creating opportunity for a new generation and including all of the community’s residents in its economic future. When it comes to economic growth and talent development, we have usually shown up pretty awkwardly in the past. Multiple governmental and nonprofit entities would present their plans, each of them possibly making some sense, but none of them tied together. The effect was to leave outsiders confused about our direction. A lot of credit for this progress should go to Randy Peers, the president of the Greater Reading Chamber Alliance and his team. Since the Greater Reading Economic Partnership, the Greater Reading Chamber of Commerce and the Greater Berks Development Corporation merged their operations under Randy’s leadership, a more unified, understandable and consistent story has emerged about our economic future. The people from the Federal Reserve clearly saw a different kind of presentation from Berks County than we’ve been able to make in the past. That’s an important first step toward establishing a reputation as a region that is worthy of attention by outside sources. We’re not there yet. We’re definitely a work in progress. But last week, I was proud of how Berks County showed up.